Standard load limiter for overload protection. Weston-style brake for positive load control. High-efficiency spur gearing for greater lift with minimum effort. 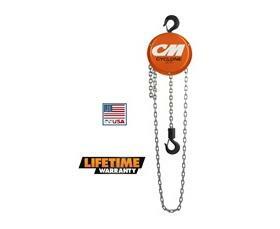 Rugged chain for added strength and durability. Fully machined, forged liftwheel pockets for easier lifting and smooth free chaining. High-strength aluminum alloy castings in frame and covers. Features superior engineering, efficiency and durability and is considered one of the most popular and reliable hand chain hoists ever designed. FOB Shipping Point. 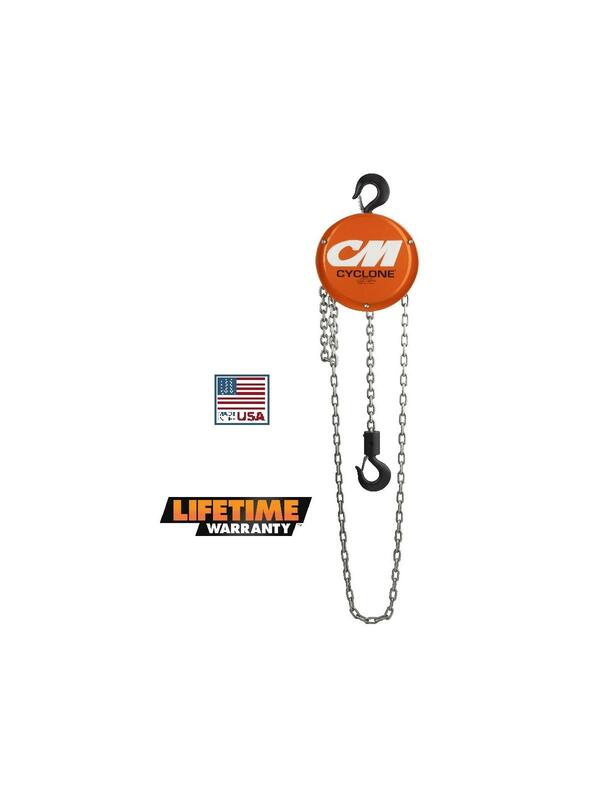 Standard hand chain is 2 ft. less than lift. Additional lifts available.